Celebrating the life of Mead Charles Robinson, Sr.
Be the first to share your favorite memory, photo or story of Mead. This memorial page is dedicated for family, friends and future generations to celebrate the life of their loved one. 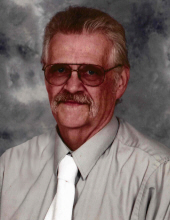 Obituary for Mead Charles Robinson, Sr.
Mead C. Robinson, Sr., 64, of Franklin, passed away unexpectedly in his home on February 5, 2019. Born on September 1, 1954 in Franklin, he was the son of Mead Clair Robinson, Jr. and Ruth Ann (Robinson) Freeman. Mead married the love of his life, Debra A. Duck and began a wonderful family together; she preceded him in death on June 28, 2018, whom he missed dearly. For most of his life, Mead worked as an Electrician at the Pennzoil Refinery for 28 years, and retired as a Material Analyst for the United States Office of Personnel Management. In his spare time, Mead kept himself busy with activities he loved. He enjoyed being outdoors, especially to hunt, and made many trips to Canada to fish. Unlike the rest of his Steeler-loving family, Mead was a diehard fan of the Green Bay Packers, and loved to antagonize his loved ones about it. He also enjoyed watching the Pittsburgh Penguins play hockey. The time he spent with his wife, children, and grandchildren (who called him "Papaw"), will forever be his greatest love. Most of all, Mead cherished his family and his two dogs, Roscoe and Patches, whom he loved to take on rides. Mead is survived by his mother, Ruth (Robinson) Freeman and her husband, Paul, of Franklin; his 2 sons, Mead Charles Robinson, Jr. of Franklin and Scott Robinson of Clarion; his daughter, Heidi Siler of Franklin; his 3 grandchildren, Jordan and Brandon Siler, and Jemma Rose Miller; his sister, Sandy Dulaney and her husband, Kevin, of Franklin; and many aunts, uncles, nieces, nephews, and cousins. In addition to his wife, Mead was preceded in death by his father, Mead Clair Robinson, Jr. in 1981; and his maternal and paternal grandparents. Family and friends will be received on Friday, February 8, 2019 at the Gardinier Funeral Home, Inc., 1315 Chestnut Street, Franklin, PA 16323, from 2 pm to 4 pm and 6 pm to 8 pm. Funeral services for Mead will be held on Saturday, February 9, 2019 at the Gardinier Funeral Home, Inc., starting at 11 am, with Reverend Byron Myers, pastor of the Grace United Methodist Church in Oil City, officiating. Interment will be held at Graham Cemetery. The family suggests memorial contributions be made in Mead's honor to the Venango County Humane Society, 286 South Main Street, Seneca, PA 16346. To send flowers or a remembrance gift to the family of Mead Charles Robinson, Sr., please visit our Tribute Store. "Email Address" would like to share the life celebration of Mead Charles Robinson, Sr.. Click on the "link" to go to share a favorite memory or leave a condolence message for the family.